— It acts like it knows nothing, when in fact, it knows everything. — Every morning and night, Axcio silently says the good morning and night to the Craerekins. Just a simple way for it to acknowledge all of its creations. — It can't and doesn't experience the universe as a mortal does: touch, tastes, smells, etc—it's nothing something it is able to experience; they simply know. — Rarely speaks. Its voice is always composed of many voices, so to avoid others from hearing it, it keeps itself silent. Though, when one hears it, they may notice that it's voice is always extremely hollow and sounds half dead, having to be composed of the voices of all of their lives mixed together so sounds like many things speaking at once. — It is in fact a Very Expressive entity when they want to be…as in when they’re not suppressing their emotions. which they do 99.5% of the time because they have to, what with embodying every single life form throughout time…it feels everything so intensely. / Always suppresses its own emotions because it feels emotions and everything in general so intensely, which is something it is excellent at doing. Though, the greater the emotions it senses from others, the higher chance it will be "controlled" by it, even when there's no particular reason for it to feel the way others feel. — Its vessel, known as the Everything Form, that is usually created out of only bones and flesh, can not hold its overwhelming presence highly well, hence, it being sick often. Nothing should keep the actual Void itself contained when its existence is beyond powerful. — Does not have shadow, instead the shadow remains within Axcio's vessel. — At the beginning of the month, Axcio will be perfectly healthy in terms of senses, having excellent hearing, sight, etc; however, as the days goes on until the end of the month, its health gets progressively worse before it can no longer have access to these senses—eventually, it will be blind and such until it dies and remains back to the Void before the next month for a few days, it returns back to its vessel. — It always have scars that will be entirely removed by the last day of the year. So, once the new year begins, until the end, it gradually gets the scars cover its entire appearance when it's in Something Form. Certain scars it has will glow if it recalls the memories behind them. — Usually, when it's sitting or laying down, it makes itself small by pulling its knees close to its chest and just...remain in that position until it wants to stand again. It makes them appear vulnerable, which no one really knows why it does that, but it is believed that Axcio simply feels the need to sense closeness to its presence. — Often times, Axcio has scratch marks or gashes, yet it can't recall receiving them. They usually appear after it wakes up, but even sometimes, they can "randomly" appear while it's consciousness. A lot of its loved ones ( especially Shane and Felix ) jokes about Ghosts and Demons being the ones who did them to it, and, honestly, it might be true. Though, if anyone asks Axcio what happened to it, it always shrugs and replies that it "probably scratches itself while asleep". — Speaks little, thinks big. At least during the morning and afternoon, it mostly does speak, yet briefly. However, during the evening and night, it utters a few words or a word to being complete silent. Often times during evening and night, rarely during morning and after, it uses sign language or Morse code. — Have a habit of chewing / biting objects, other entities, and themself. Their teeth sometimes aches for no reason, and they desire to get their teeth on something so they can be soothed. — Has a habit of sort of taking after an individual's quirk / habit and does it while they're present with it, either after it recently met them or had known them after a long time. ( Example: Rulijin often gives Axcio a small friendly punch on the shoulder, and Axcio eventually takes after Rulijin's habit as it starts giving him one ). It doesn't really know why it does it, but in a way, it's like saying how much Axcio likes the other as it feels comfortable / safe being with them to return, what it thinks to be, an affectionate gesture to them. — It's important to keep in mind that Axcio cries way too easily. Even does it sometimes cry for no reason in particular. Fatigue is an absolute Hell for entities to go through, and unfortunately, Axcio is one of them due to its lack of sleep, hella messy sleeping and waking schedule, and how its existence functions through its vessel that makes its life difficult to endure; hence, the constant drag of the exhaustion ( plus the headaches / migraines that comes with it ) keeps it in a state of just wanting to curl up into a ball and cry. At least said so is usually the reason why, but there are probably few other reasons that brings up a similar result. — Every Humans ( regardless if they have access to powers / magics or not ) sees Axcio differently from each other. There are really no reasons or explanations why an individual sees it the way it appears to them, though, it is believed that Humans can't handle its Everything Form, which is the form that in actual reality, beyond the Humans' eyes, its appearance is constantly changing; a Human taking the sight of its Everything Form can potentially lose their eyesight or "burn" their brain, hence, it creates the Anything Form that allows it to copy after any Humans who are exposed to its presence, and creates a strong layer specifically for that individual. However, those who were once Humans had recently been put into a supernatural position ( Vampires, Werewolves, etc ) may be at the same risk of only losing their eyesight, otherwise, they are not affected as the spiritual and divine beings ( Angels, Demons, Ghosts, Deities, Embodiments, etc ) when they can just see its Everything Form. Every year, Axcio's appearance change to every Humans. For an example, there would be a year when someone sees Axcio as a man with green eyes and black hair, then, when a year pass, said someone won't see Axcio having the same appearance it had in the previous year, only to see it as a woman with blonde hair and blue eyes. — When Axcio is alone, it's usually accompanied by Damien Craerekin, who is the main equivalent to Present itself. Like Axcio, Damien is seen differently by every Humans, except the spiritual and divine beings would only see Damien as nothing, like it's an invisible entity of sort ( however, Embodiments like Axcio can project its own appearance idea of Damien and create an image of it for itself to see the other directly ). Though, it's unknown why Damien often remains with Axcio, when it doesn't even seem to acknowledge Axcio as much as Axcio doesn't acknowledge it either, it makes sense in the complicated idea of the Void always being with the presence of the Present, as the Present lives in the center of the Void. Despite the lack of meaningful interactions between the two Craerekins, there are rare times Axcio and Damien have their domestic moments together, such as when Damien actually bothered to make a sandwich for Axcio, not because it cared about what would it think of its action, but just to give some sort of an appreciate to Axcio, only Axcio simply saying that Damien existing with it was enough. — Axcio is profoundly connected with the Parallel Twins, Alpha Paene and Omega Umbra, its apparent first "children" who were originally born as a single entity, called Penumbra, breaking out of an egg-like shell before the entity separated its existence into identical twins, Light and Darkness, before the twins soon renamed themselves what they were called as now, representing the Embodiments of Life and Death. Alpha and Omega helps Axcio by guiding it to the Void and the World and vice versa, as they make sure Axcio wouldn't end up killing the entire Universe. In a way, it's like two siblings helping out their ancient parental figure, which the sound of it is sweet. There has been interactions that are rare when Axcio actually treats the Parellel Twins as its children, rather than keeping its relationships to them "professional", by teasing them and silently gives them an awkward, but affectionate pat on the shoulder. As the Void, Axcio carries every sets of aspects and concepts. Most sets are what influences how its Everything and Something Forms function. For now, this is a reference sheet. More details will be added soon. Axcio's Interlayers is what keeps its' humanly identity separated from its true rotten form. Though, it can be broken if being with the presence of anything that is associated with an element that it is most weak to in certain months. However, anyone who sees its true form will most likely become blind, deaf, etc, or even dead. 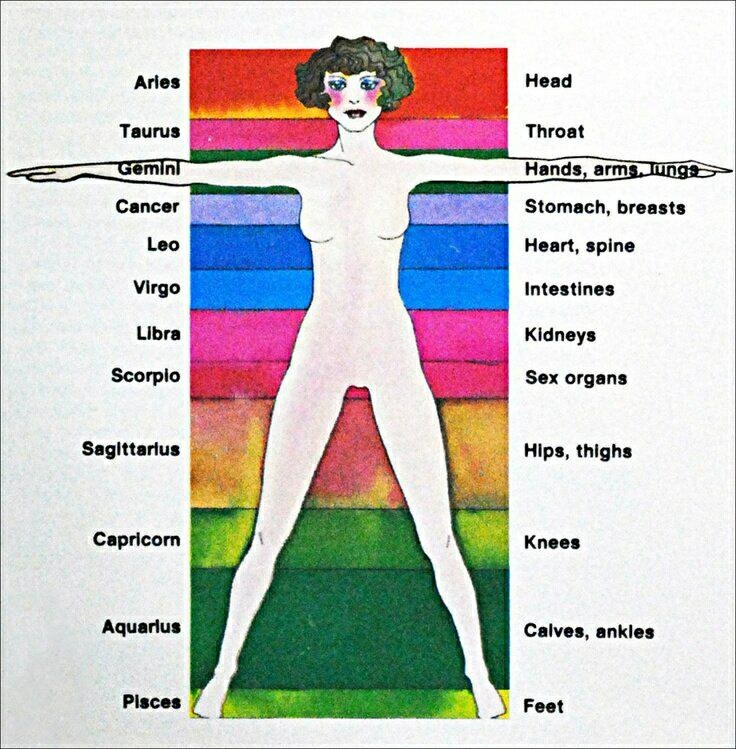 Body Parts: Upper body, shoulders, nervous system, airway, lungs, arms and hands / fingers and upper ribs / upper ribs, bronchial tracts, trachea, thymus gland, nerves and nervous system. The new moon represents the menses (menstrual cycle) and, historically, women took time away from others during this time. Think of the new moon as not only your fresh start, but your time of retreat — a time when you can regain your strength to begin again. The themes surrounding the new moon are new beginnings, fresh starts, and clean slates. You should be using this time for an intense reboot. Try to envision yourself filling up — recharging under the energy of this new moon. Mentally throw all unwanted thoughts and excess junk into the trash. To do this, it’s best to unplug and give yourself much needed alone time. You may find yourself feeling antisocial and introverted for no reason. Pay attention to these feelings and embrace them. As the moon turns its dark side toward us, turn yourself inward and away from the draining energy of others. Don’t feel bad for canceling plans or not wanting to call, text, or be around anyone. Turning off is the best way to make the most of a new moon. - Doesn’t talk much, even during the mornings and afternoons. This is when you should be developing your intentions, burying crystals, writing checks to the universe, and laying the mental groundwork for your next project. Because the first quarter moon occurs a week after the new moon, this is when we start to feel some resistance in the form of obstacles. If your intentions were planted during the new moon, your first hurdles at achieving these goals are experienced here. The themes surrounding this moon are challenges, decisions, and action. Your week of rest and intention-setting is over, and now you must work harder than before. Be prepared to make decisions on the spot, and do not lose your cool when things come at you out of nowhere. The best way to handle this moon is to be flexible. Keep the intention you set during the last new moon in your mind the entire time, and make decisions that will ultimately bring about the outcome of your previously set intentions. The themes surrounding this moon are adjustment, refining, and editing. Things don’t always work out the way we planned them to, and this phase of the moon will help you realize what you need to reevaluate, give up, or change direction on. If you want to reap the benefits of the full moon, maybe you need to make some sacrifices. Maybe you need to change course. Don’t resist the feeling of change during this moon. Because the sun and the moon are on opposite sides of the Earth at this point, they are also in opposite zodiac signs. This brings heightened tension as we fight to find balance between two extremes. Emotions can definitely run high during this period, and it’s important not to get overly emotional or attached to anything during this phase. The Harvest Moon, the name of the first full moon in September, is the time when farmers traditionally harvest their crops. Just as they reap the benefits of their seeds, you should be reaping the benefits of your intentions set during the new moon. The themes surrounding this moon are gratitude, sharing, and enthusiasm. You should be feeling the benefits of your hard work for the last two weeks. Your metaphorical crops are in abundance and you should be seeing some (albeit small) outcome from your previously set goals and intentions. Now's the time you'll be feeling full of love. You'll want to give back to those around you — maybe you treat your spouse to dinner or buy your best friend a gift because you saw something and thought of them. This is one of those weeks you may find yourself burning a hole in your wallet — try not to go overboard but don’t feel bad about spending some extra time and money on those you love. Giving back is a big theme during this time. The themes surrounding this moon are release, letting go, and forgiveness. Like the moon gradually decreasing in size, you have to be ready to let go of stuff. Throughout the month you’ve been hurt, broken, or angered in many ways. It's under this moon that you will let go of all grudges and release all anger. You must purge yourself to be able to receive the new intentions you will set again during the next new moon. A great practice during this moon is a cleanse. Clean out your apartment, your closet, your friendships. Look at anything that's no longer serving you and get rid of it. Pay attention to the unnecessary emotional and physical clutter you’ve accumulated during this past cycle and rid yourself of it. To shed this unnecessary emotional weight, try participating in a class or any type of physical activity. Surrender, rest, recuperate. You may feel empty during this time. You’ve gone through an entire moon cycle and things have come and gone — willingly or not. You are now getting ready to prepare for a new cycle and there is nothing wrong with resetting intentions — however, not during this moon. Right now just relax and surrender to the universe. Some things will always be out of your control and fate must take its course. Head raises. Hands in pockets. Feet firm against concrete. Tick. Tock. Tick. Tock. Waiting. Glancing away. "Somewhere." Body stills while familiar limbs wrap around waist. Sinking into tight embrace. Heart against heart. They beat strength together, and together, and together... "Home." Wonder remains beneath whisper. Joy distorts between the letters. Happiness it is there, nevertheless.